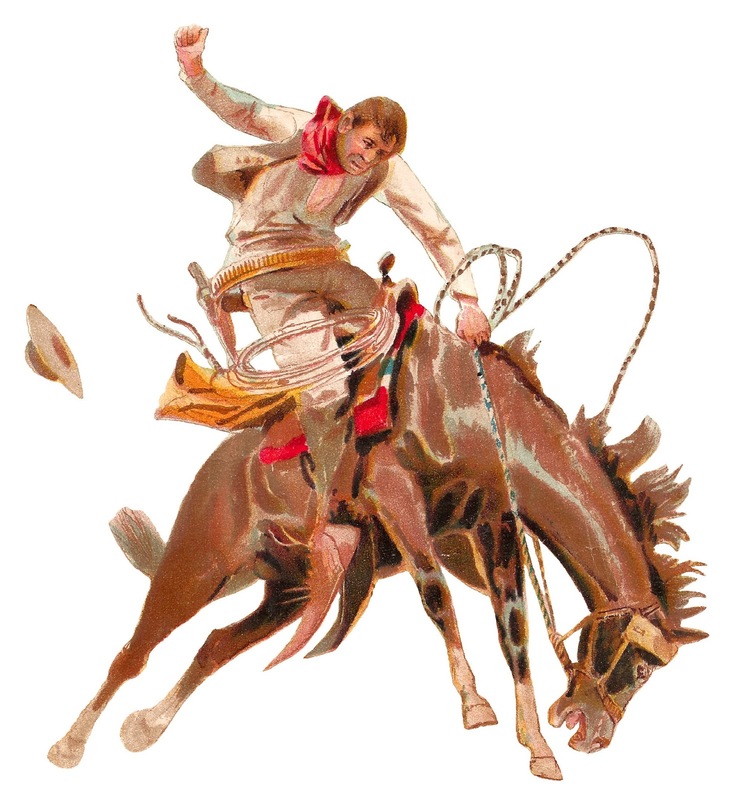 Today, for the first time, I've posted lots of great digital wild western clip art downloads! I recently discovered these wild west image in an 1850's Victorian scrapbook. The first digital western clip art is of a rodeo cowboy riding a bucking bronco. The action portrayed in the rodeo image is wonderful, especially his western hat as it flies off to the side. 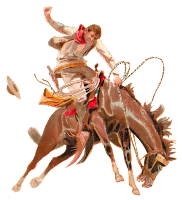 The second digital western download is of a Native American in traditional dress. His face paint, his hair, and his clothes are beautiful. 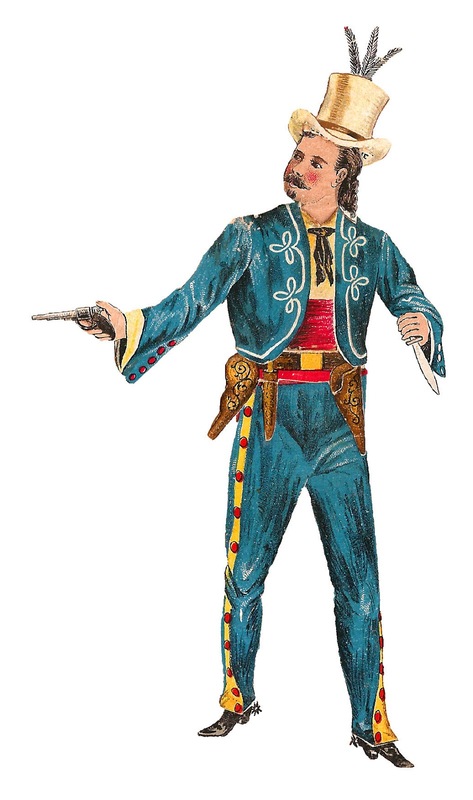 And, the third digital western clip art is of a gunslinger in an amazingly colorful and fancy suit. The bright blue suit with red and yellow accents and white embroidery are simply spectacular. Of course, the feathers topping his top hat put his whole outfit over the top.